As an admin, see your team members’ timesheets and add time on their behalf. Adding time for others is a Premium feature, which you can enable once you upgrade your workspace to Premium. Please note that you would first need to enable Timesheet View in order to see the Timesheets. You can do this in the Workspace settings. 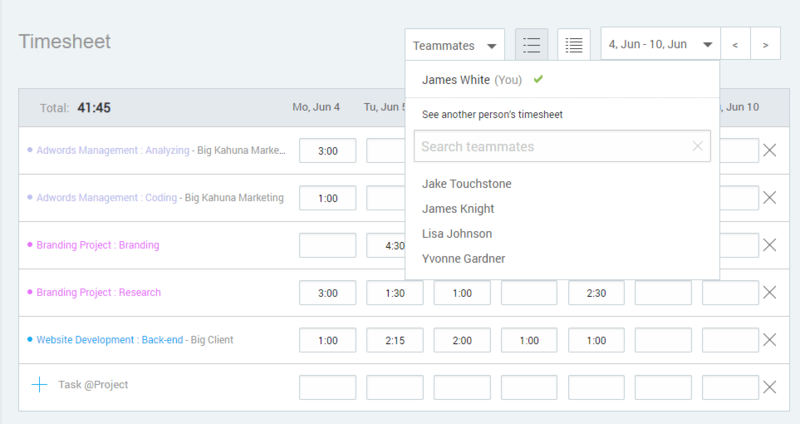 If you need to be more specific regarding the time entry, you can add time on your team members’ behalf directly from Detailed Reports page with just a few clicks. 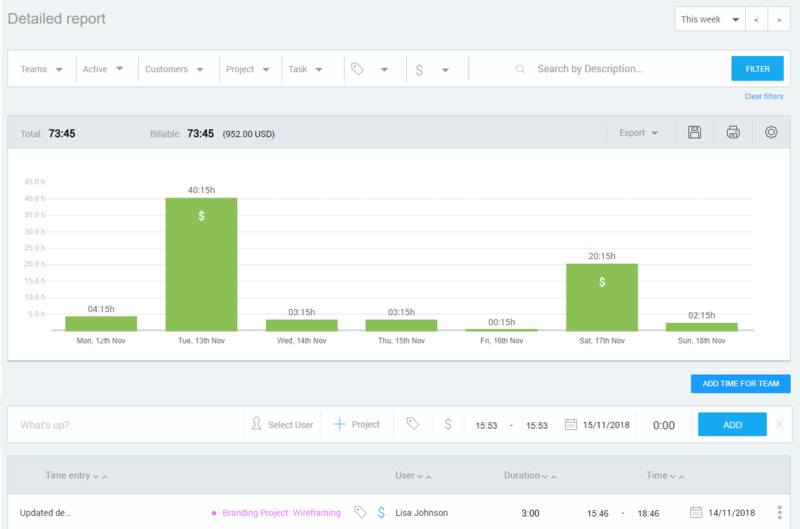 You can also add a description, select a project, add tags and choose if the time entry is billable or not. Please have in mind that only owner or admins can add or edit another person’s time entries. Regular users can only edit their own time entries.